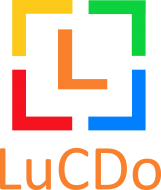 Lucdo Technologies is a Technology and Software resource augmentation company with three basic principles Technology Expertize, Innovation and customer relationship. We are the one stop shop from understanding the customer’s environment and based on the challenges, we provide the solutions. At LuCDoDigital recruiting has replaced traditional recruiters and streamlined the recruitment process to a large degree. At its most basic level, recruitment software offers employers a digital contact management solution, but it also fulfils many other important functions that benefit both employers and future employees.